This Wall Street 50 celebrates the 21st running of the list. Our honorees, from fourth-generation to Irish-born, represent a range of financial power houses, and in addition to their strong business acumen, they all share in common pride in their Irish heritage. 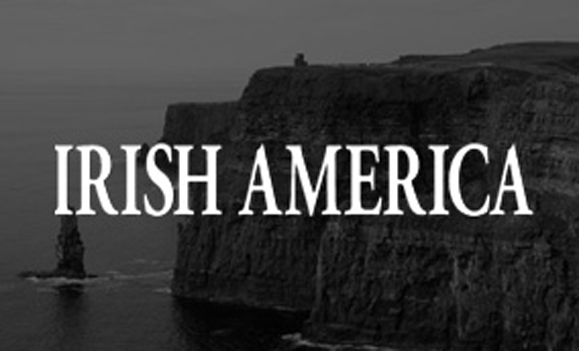 Irish men have long had a presence on Wall Street – from the days of John Kiernan. The eldest of six born to Irish immigrants, Kiernan formed his own financial news agency in 1869, and employed two young reporters Charles Dow and Edward Jones, who went on to form the Dow & Jones company, and the Wall Street Journal. Pretty heady stuff, indeed. But let’s hold the applause! While the men have been enjoying the view from the top of the corporate ladder for a long time now, not so much for the ladies In the more than 150 years since Kiernan was doing his news-gathering by rowing a boat out into New York harbor to meet ships arriving from Europe, to glean from passengers the financial happenings on the other side of the pond, women are only now gaining seniority in the major financial houses. When we first published this list in 1997, there were two women honorees profiled, on this list there are 22. Hooray! And one of those amazing women in Eileen Murray the co-CEO of Bridgewater Associates, the largest hedge fund in the world, who is the focus of our cover story. When you read Eileen’s story, you will understand why it is no surprise that she was one of the first in her field to break through the glass ceiling. One of 9 kids, who grew up in public housing, worked though school and at the local supermarket, and armed with a wonderful sense of humor, a quick brain, and a BS degree from Manhattan College, she tackled Wall Street in the 1980s, when 0.5 percent of women held senior positions. She attributes her success to the work ethic of her family. Her Irish American serviceman father, and County Galway raised mother who worked for Ma Bell, treated their offspring with equal parity – the boys did the dishes as often as the girls. And ethnic diversity was the norm in her apartment dwelling. Her neighbors from all over the world, and her mother, always had the door open, and was ready to entertain when her Uncle Pete came over with his accordion, and Aunt Delia joined in on her fiddle. And celebrate we will. Congratulations to all our honorees. In addition to your business acumen, all of you are involved in different activities that that benefit the community. And you have shown an appreciation for your heritage, which, in addition to the enjoyment of the many wonderful aspects of being Irish, has equipped you with the ability to interact with people from all over the globe. You are also a living tribute to the fact that diversity, in all its forms, is what make America great. On a sad endnote, we lost many wonderful Irish American these past months, lions of our community, including a beloved teacher, politician, young actor, a designer of note, a sports star, a chef, a banker, and a couple of great corporate chieftains who became peace makers. We celebrate their lives in this issue. They knew the beauty and tragedy of Ireland that is in our DNA and used it well to make the world a better place.